Join the CAPBuilder Talk Radio show for this great episode where we will discuss Changing Lives with Events and Networking. My guest this evening are returning guest, Clyde Anderson talking about the upcoming 50 Billion Dollar Empowerment Tour – Town Hall Meeting and Corey Moore The ProNetworker talking about the importance of networking and his outstanding events. 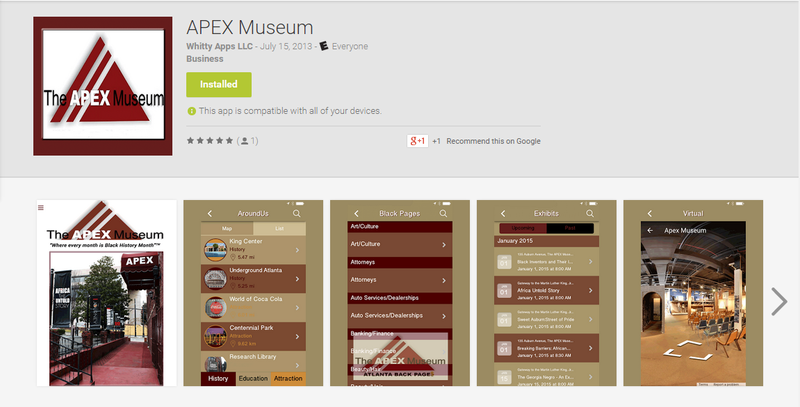 Join us for this episode as we discuss Rebuilding Black America. . My special guest tonight will be Dan Moore Sr. the founder of the APEX Museum who is launching a new ‘Black Pages” application that developed by Whitty Apps. This free downloaded mobile application will allow black small businesses to list their services to market their business for a very small fee. My other guest is Dr. Earl Holiday (Doc Holiday). “Doc” Holliday has been a building principal for more than four decades (1970-2000) in Ohio and Georgia at the middle- and high-school levels. 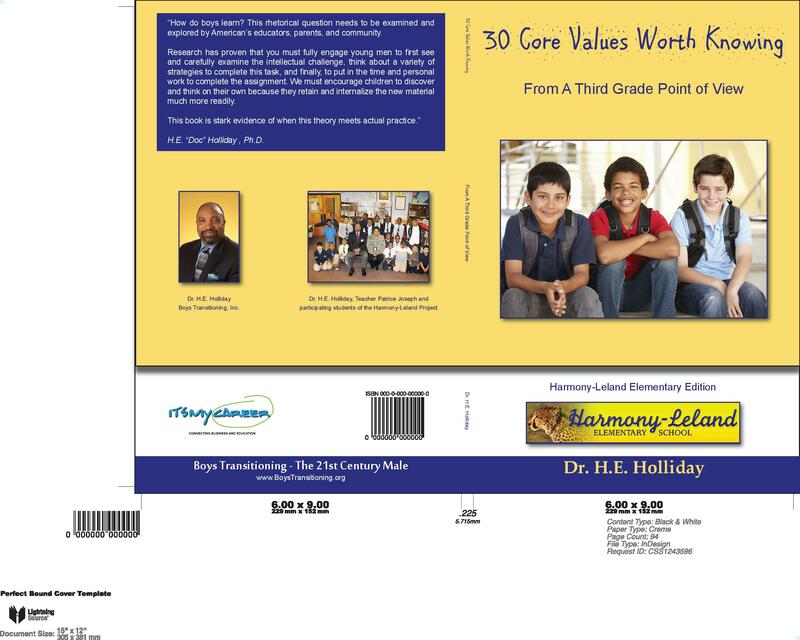 His schools have long been characterized and recognized for exceeding academic expectations because of his willingness to take acceptable risk, Through Boys Transitioning, Inc., a 501(c)(3) organization, Dr. H.E. Holiday is committed to identifying many of the academic, physical, emotional, and psychological transitions boys must navigate during their formative years by suggesting new strategies to assist boys in negotiating these radically different stages in life. Join me for this episode of the CAPBuilder Talk Show with my special guest Kevin Ashford Spokesman for the Family Food Fest Atlanta 2015. We will discuss the event and talk with some of the guest chefs that plan to be there. 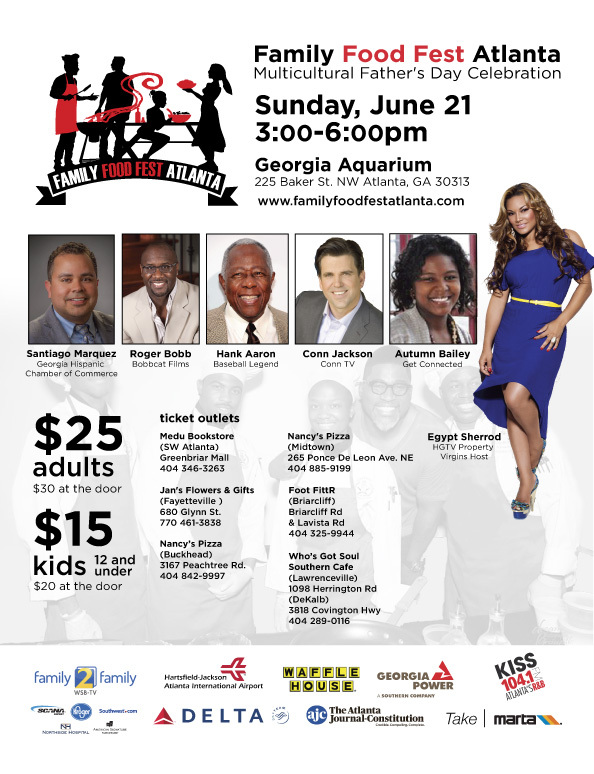 Purpose: Family Food Fest Atlanta is in its inaugural year and was created to provide a multicultural celebration on Father’s Day bringing families together in a fun and energetic atmosphere where cooks, chefs, caterers, restaurants and everyday dads display their culinary talents. A few female chefs are featured too. Charity Partner: VSNS Inc. (Visions) a 501c3 nonprofit focusing on the eradication of health disparities in inner city communities through free health screenings and education. Silent Auction Items: Four days and three nights at Breezes All Inclusive Resort in Nassau Bahamas; A Pair of Round trip tickets on Southwest Airlines, Kiss 104.1 Flashback Concert with Chaka Khan, Pair of Atlanta Falcons preseason tickets – hotel stay at the Marriott Marquis, Sheraton Hotel, Embassy Suites, baseball tickets, etc. Sponsors: WSB TV 2 Family 2 Family Project, Atlanta Journal Constitution, Delta Air Lines, MARTA, Georgia Power , Waffle House, Hartsfield Jackson Atlanta International Airport, Kiss 104.1 FM, Fulton-Dekalb Hospital Authority, Atlanta Voice, Atlanta Inquirer, Signal Outdoor, Rolling Out, Atlanta Daily World, Urban Lux Magazine, Upscale Magazine, BE Magazine and Southern Barter Club and Coca-Cola. Health Pavilion: Blood pressure and cholesterol screenings. Information on prostate cancer, diabetes, lupus, heart disease, stroke, Cystic Fibrosis, Sickle Cell, HIV Aids, obesity and more. Master of Ceremonies: Rick Joyner, Sheradan Broadcasting radio announcer. Author and speaker, Alisa Boykins, Co-Host The Christian View WATC TV 57 and DJ Fadelf. Chef Gregory Skeeter, Chef Ashley Keys; Cajun Culinary Club Chefs James LaStrape, and Chef Arthur Hebert. Join me for this episode of CAPBuilder Talk with my special guest Desiree Lee and her daughter Simone as we discuss how they are Changing The World Together. N. Simone McCauley is a young published author in Atlanta, GA. She enjoys reading, writing, riding her bike and most of all swimming. When it comes to writing Simone likes to write about her super powers. Some of her super powers are helping others, imagining possibilities, and using her voice to inspire others. 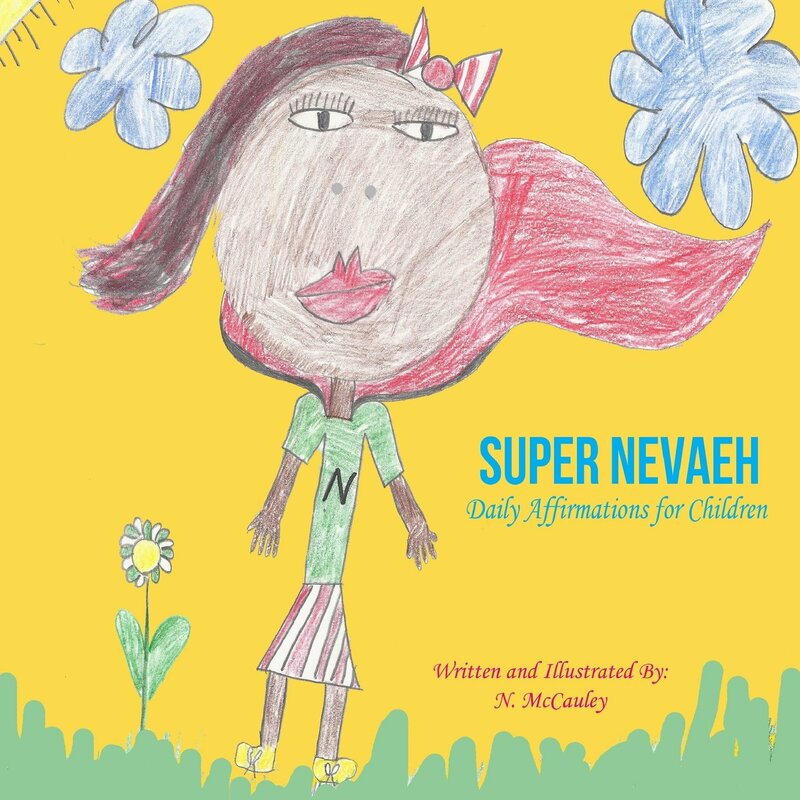 She wants to let every child know that they too have the power to speak things into existence and command their mornings. She finds the most exciting part about writing to be the illustration. When Simone gets older, she hopes to become a song writer. Her advice for writers young and old is to never give up because nothing is impossible. Desiree Lee, a California native who now resides in Atlanta, Georgia is a Best Selling Author, Inspirational Speaker, Philanthropist, and Family Dynamics Coach. Who was once on her way to college in the pursuit of the AMERICAN DREAM. At 17 years old she graduated with a 3.8 GPA and 2 basketball scholarships but quickly found herself on the wrong side of the law. Her life took a major detour, yet Ms. Lee has worked tirelessly over several years and has introduce to the community the Annual 10 City Prison Prevention Tour. Desiree Lee is author of INMATE 1142980: “The Desiree Lee Story”; A phenomenal life changing, purpose driven publication for every teen, young adult, parent, and instructor. Ms. Lee is also the author of PASS THE MUSTARD SEED: “It’s Our Faith That Moves Mountains, Not Our Hands” A compilation of those who once thought believing was a difficult thing to do, until faith was all we had left. Desiree Lee delivers upbeat inspiring presentations for audiences across the country, uplifting many to see beyond their limitations, and preventing teen incarcerations nationwide. She has been seen on Atlanta Live TV 57 ” A Woman’s Place” with award winning television host Angela Rice and Victorious Living with host Nicole Page. Ms. Lee has been awarded to have shared the platform with Judge Greg Mathis, during Praying For Our Children Winter Gala in Orlando, FL; Spoken for the National Coalition of 100 Black Women, Inc (Chattanooga Chapter) and Judge Penny Brown Reynolds 2014 Sister Talk Conference. Ms. Lee is a living example of overcoming personal experiences with a criminal background, low self esteem, defeat. She believes that it’s not our environment that dictates our success, but it’s our minds.